AgroTower is a product capable of increasing both the quality and quantity of berries, fruits, herbs and plants while reducing the amount of land required and the quality of soil as well as reducing the amount of pesticides, water and labor required to grow these agricultural products. 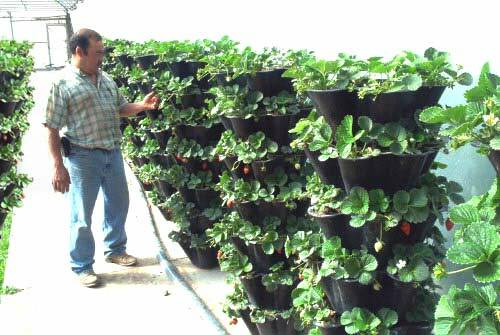 AgroTower is a tiered, stackable plastic form with integrated irrigation system that will allow strawberry growers to quadruple (est.) 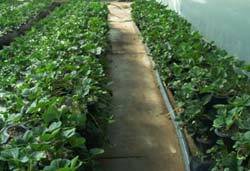 the number of plants they can plant per acre and at the same time dramatically increase the quality of the berry. The yield of the acreage is also dramatically increased because the berries are hanging and not damaged by resting on wet ground exposed to rodents, pests and mold. AgroTower will simulate a premium hydroponic berry in the open field. AgroTower reduces or eliminates many of the pesticides and soil treatments currently required. In California many of these toxic treatments are scheduled to end in the near future.